First though, a short statement: I have a degree in history and have been reading military history for 40+ years. I KNOW there were no AFVs in the Civil War! It's a joke! See below. Right, got that off my chest. When America started sending armor to the British early in WWII our vehicles didn't fit their designation system. They had light tanks, cruiser tanks, and infantry tanks. The Americans designated armor by light, medium, and heavy. Confusion also arose from the M3 Medium and M3 Light tanks having very similar designations. Therefore the Brits decided to start giving different tanks names, which they did for their own as well. And, since the PM was a history lover American tanks were named for American Civil War generals (see? get it?). The Americans picked up on this and started using those names as well, eventually continuing the tradition with later vehicles (though not always using Civil War names). How does that sound to you all? Cool idea. However I'm partial to beutes so if you'll allow a Sherman or Stuart with a balkenkreuz on it then I'd be up to signing up. I would definitely be in this campaign. I don't have any of these tanks in my stash, but have been looking for a reason to buy another kit to build. I don't think the M24 qualifies. Per Wikipedia "the M24 was named Chaffee, after the United States Army General Adna R. Chaffee, Jr., who helped develop the use of tanks in the United States armed forces." This might be interesting. I have an Academy M3A1 Stuart I've been wanting to build as a USMC tank on Bougainville. Count me in. To broaden the appeal you might want to consider widening the campaign to any vehicle named for an ACW officer. For example, there have been at least 5 USN ships and a Star Trek Universe Starship all named for Admiral Farragut. Plus the destroyer USS Cushing, the carrier USS Abraham Lincoln and lots of others. 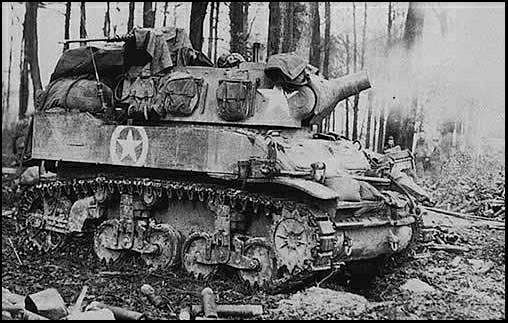 For armor if anyone wants to scratch-built there is the M8 Buford AGS. Perhaps limiting this campaign to armor but allowing any tank named after a military general would be a better choice? You're right John. Did know that it was named after Jr. Learned something new today! Actually, just to be pedantic, there were at least two armored fighting vehicles involved in the ACW: Monitor and Merrimack. They may not be quite a good fit for an Armorama campaign, but that is a separate issue. Not to be picky, but the Merrimack was the original wooden hulled version the ship. It was renamed the Virginia after conversion to ironclad. You're right John. Didn't know that it was named after Jr. Learned something new today! 1. Open it to anything named after a Civil War general (including figures of those generals)? 2. Open it to any armored vehicle named after a general? There were also armored train cars. And there were armored siege guns based on train cars. I think going with AFVs named after the Civil War generals' name angle is probably best. Gonna need a few more people showing interest before I can submit anything. How 'bout it? Anyone else interested in this idea? And what would you like the campaign to include? You got me there H.P., I've never heard of that one! But, assuming it was named for Winfield Scott, it would certainly qualify. Seems to me we've got seven or eight for this one. Anyone else? And should we limit it to just armored vehicles named for Civil War generals (the original idea) or open it up to other Civil War themed items? I'm willing to keep it alive if enough folks are interested. I do think it ought to stay limited to Civil War named armored vehicles though. I'm also still interested in this campaign. Same here. I have a Lee lined up. What about Cromwell? The English Civil War was still a civil war. HAH! I wondered if someone would spot that! I, for one, would be willing to allow that just for grins. If Timothy and Stephen are in, we have 10. Let me know as soon as you can and I'll get this one submitted.